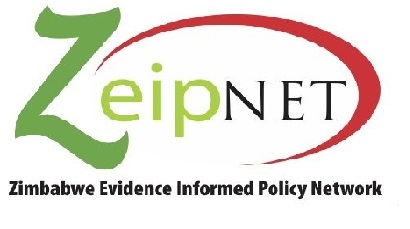 ZeipNET has been working to strengthen the capacity of policymakers to use research evidence in Zimbabwe. Over the last four years this has been funded as part of the VakaYiko Consortium. This was a project involving five organizations working in three countries: Ghana, Zimbabwe and South Africa. Work in a fourth country, Uganda, started in late 2015. This project was funded by UKAID under the Building Capacity for Use of Research Evidence (BCURE) programme. Consortium members included Ghana Information Network for Knowledge Sharing (GINKS), Zimbabwe Evidence Informed Policy Making Network (ZeipNET), the Human Sciences Research Council (HSRC), the Overseas Development Institute (ODI), the Parliament of Uganda and INASP. In this project ZeipNET partnered the Parliament of Zimbabwe, Ministry of Youth Development and Ministry of Industry and Commerce to develop these institutions capacity to use evidence. During the project, ZeipNET and INASP developed an Evidence Informed Policymaking Toolkit and successfully piloted it in the identified ministries.